St. Oswald's CE Primary SchoolLanguagesHow to say “you” in German. How to say “you” in German. 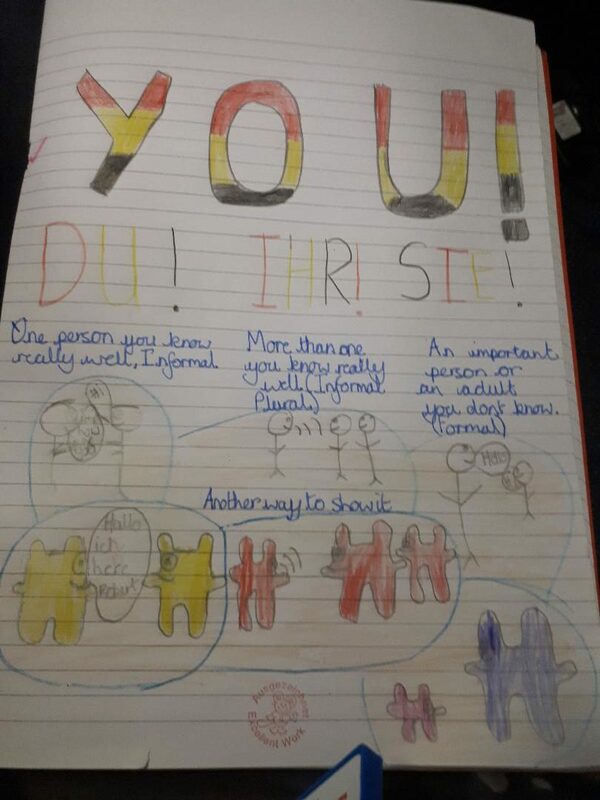 In their last two German lessons pupils in Years 5 and 6 have discovered that Germans have many words for “you”. With a little help from some of the characters from Despicable Me they now understand that there are different situations when the different forms of address should be used. The children played some games to help them practise the new words in the right contexts and then made a poster to show what they now understand.